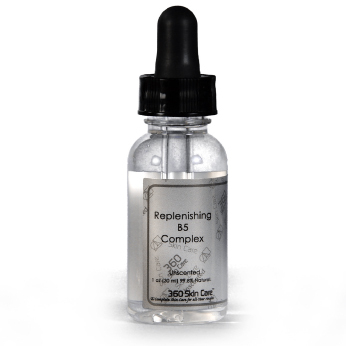 360 Skin Care’s Replenishing B5 Complex is enriched with Vitamin B, which is recognized for it’s ability to help repair and replenish nutrients to delicate skin tissue. It is combined with the super moisturizer, Hyaluronic Acid, which is a key component of collagen, and aids in the skins ability to recapture its elasticity. Our B5 Complex easily penetrates the layers of your skin to improve the skins softness and promote new cell growth. Recommended for use with our Vita-C Treatment.